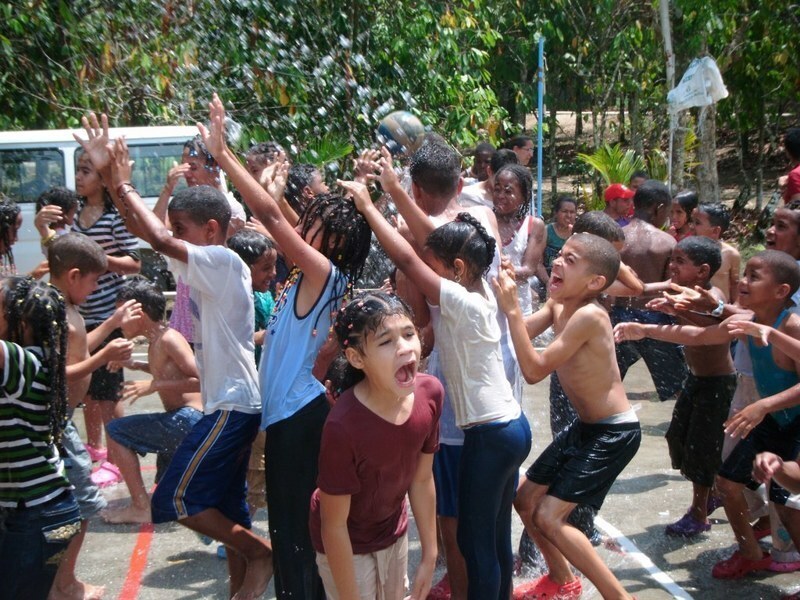 A week-long summer camp was the highlight of the year for our children at the Eva Russell School, in the Dominican Republic. A team of people from Ireland put their time and energy into organising a summer camp, which included games, crafts, sports, hikes, a swim in the river, bible lessons, praise time and a very special trip to the beach. Thanks to the team and the Eva Russell School sponsors, the children felt very special and made friendships they will cherish forever. For some of the children attending, this was the first time they had earned themselves a place at camp for good behaviour or good academic progress. The other children who had attended camp before were desperate to earn themselves another place! The children in our school look forward with great enthusiasm to the annual camp as it gives them the opportunity to forget their poverty and problems and escape to the quiet of the countryside, experiencing fun, freedom, games, devotions, food and friendships. Our camps are great for motivating our children and are used to encourage them to attend school regularly, behave well and reach their potential. Our aim is to fund a summer camp each year as it always proves to be a worthwhile event for the children.